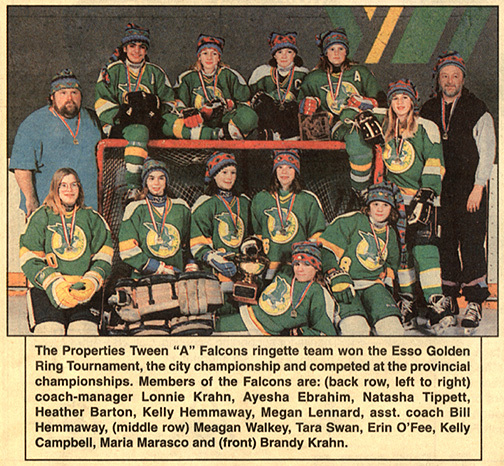 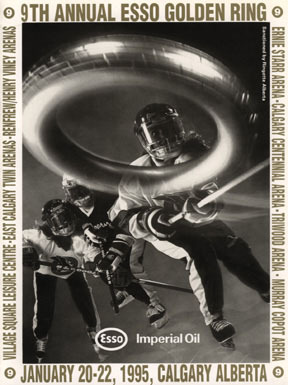 1995 was the second year that Ringette was included in the Canada Winter Games. 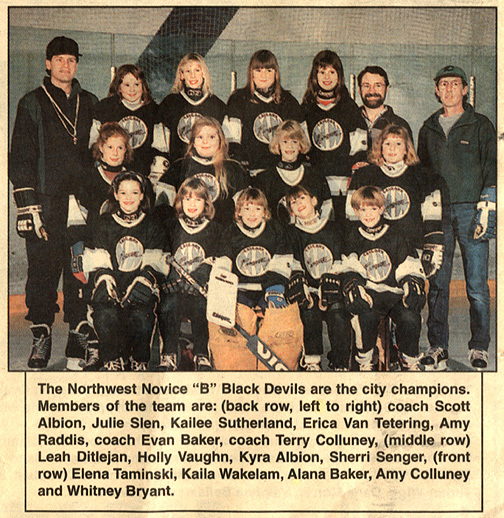 They were held in Grande Prairie, Alberta in February 1995. 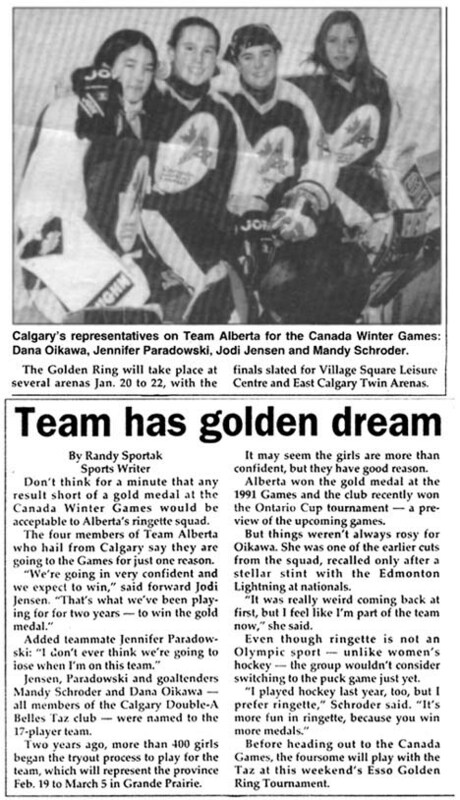 Team Alberta won Gold. 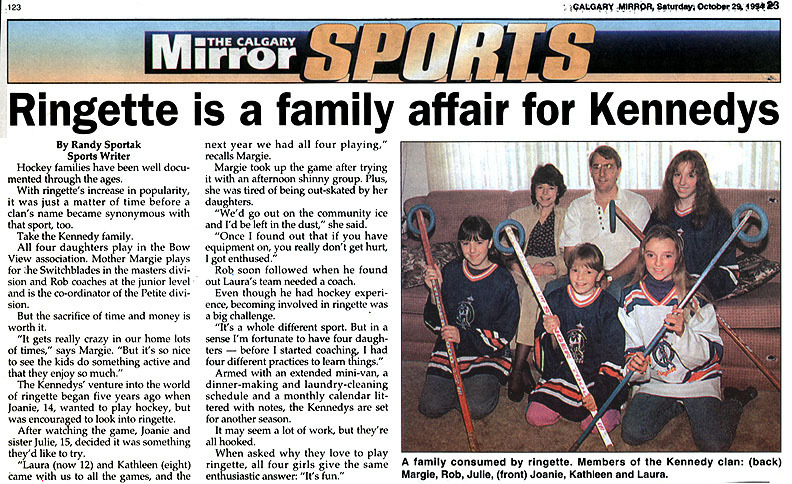 Jodi Viste was the recipient of the Don Henderson Memorial Ringette Scholarship in the amount of $700. 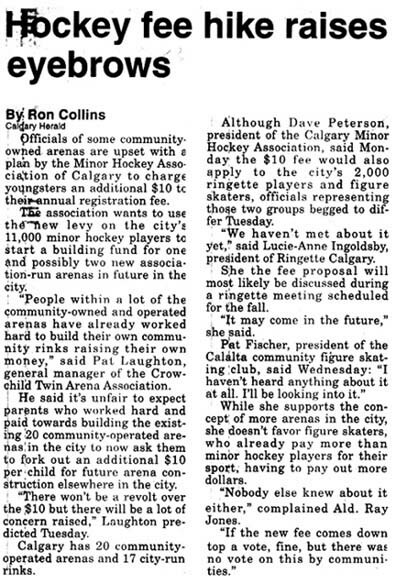 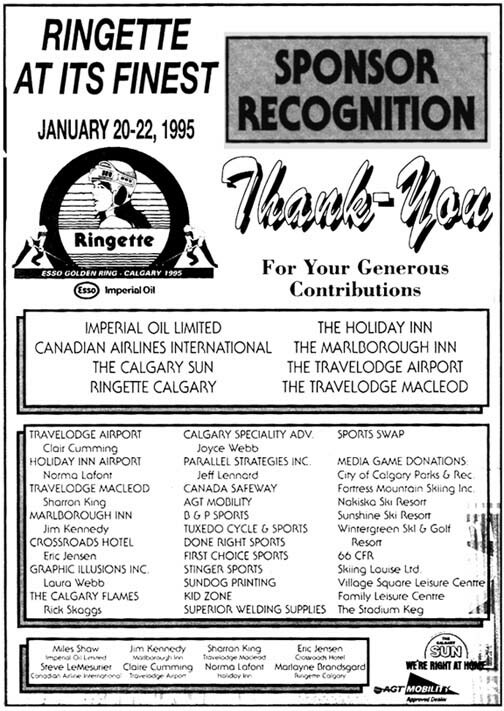 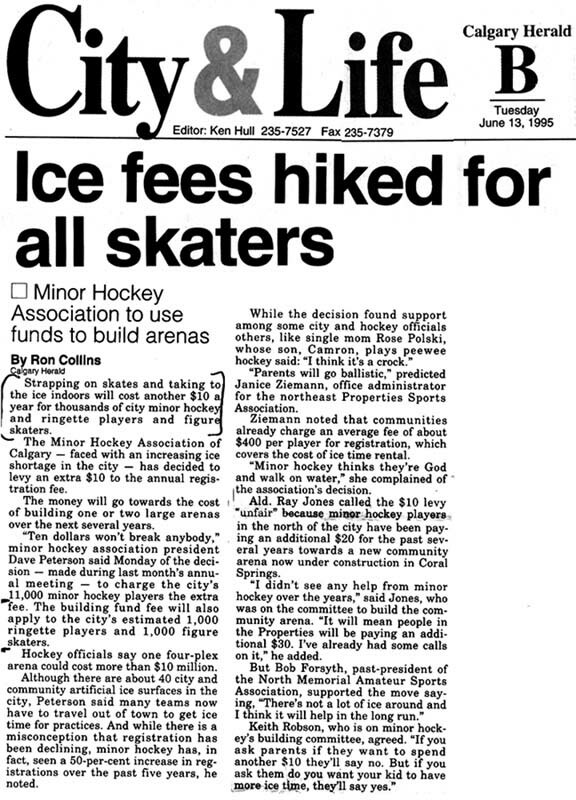 Properties Ringette held their annual fundraiser dance on October 21, 1994. 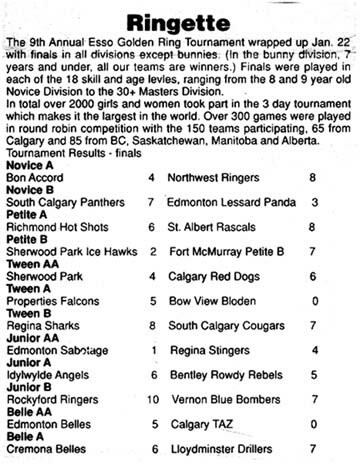 Both Bow View Ringette and Northwest Ringette hosted Christmas Friendship tournaments. 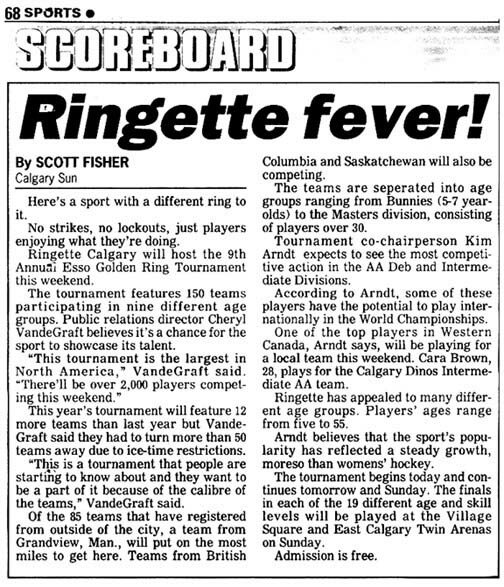 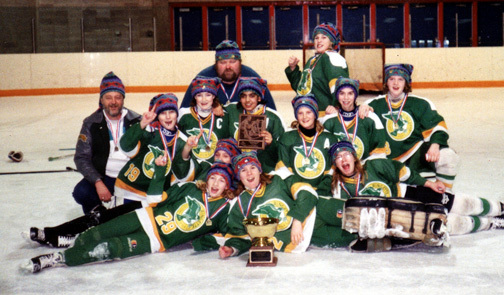 The Canadian Ringette Championships were held in Winnipeg, MB. 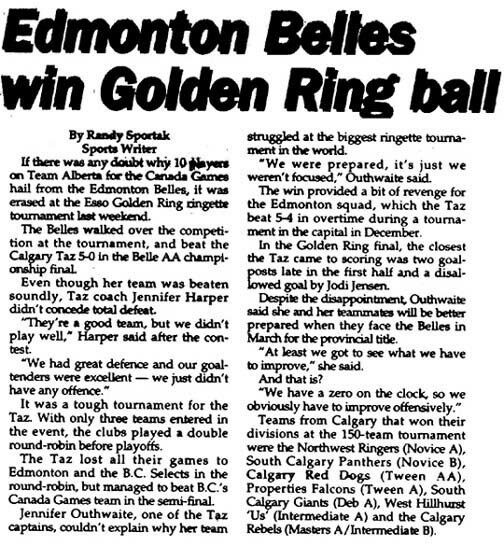 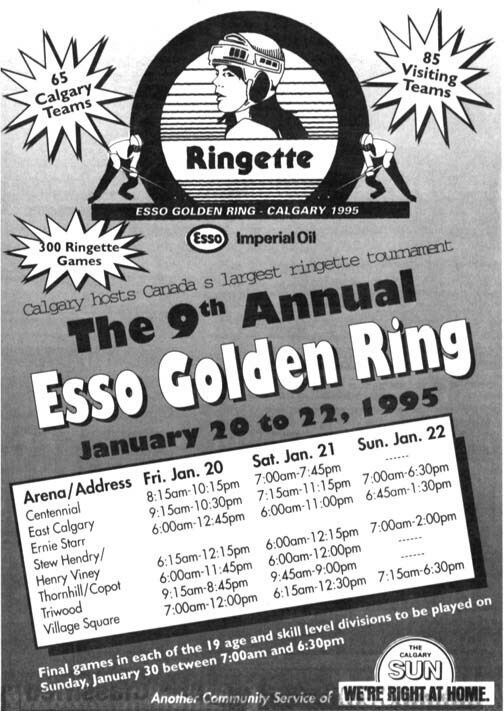 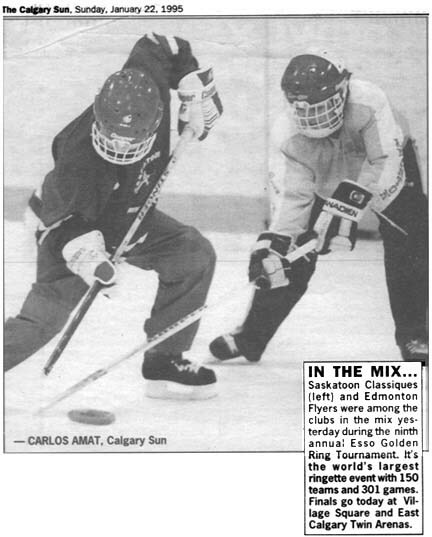 The 9th annual Esso Golden Ring was held Jan. 20-22, 1995 and hosted Bunny through Womens. 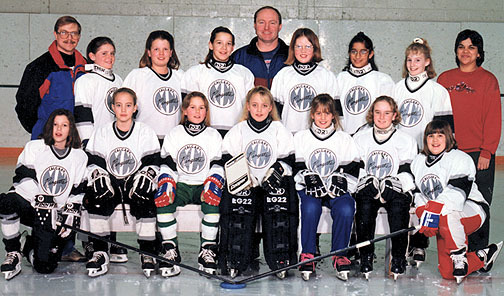 Front: Corinne Hagel, Liz Plummer, Shannon Mabley, Laureen Currie, Sunday Jarret, Monique Van Laar.